Home Opinion Fr. John Flader Is it a sin to neglect someone in need? Dear Father, I often feel I should help someone in need and then don’t follow through with it. Is this a serious matter before God or is it all right sometimes not to help someone? We shouldn’t become scrupulous about these works of charity, or mercy, as if it were a mortal sin or even a venial sin not to help someone in need. We are not always required to help them. But wherever possible we should be generous towards others, remembering that whatever we did to the least of our brethren we did to Our Lord himself (cf. Mt 25:40). When the person in need is in our own family – a sick child, a hungry husband, a child without a clean school uniform – naturally we are obliged to provide for their needs. This is a matter of justice more than of mercy, since parents have a duty to provide for their children. At the same time, children have a duty to provide for their parents, especially when the parents are elderly and unable to care for themselves. When the person in need is in our extended family – an in-law, aunt or uncle, nephew or niece, cousin… – or is a close friend, the duty is less, but greater than if it were a complete stranger. As they say, “Charity begins at home”, so those closest to us have the first claim on our love. But we should be charitable to strangers, too, whenever possible. Our Lord praises those who do these works of mercy and promises them eternal life: “Come, O blessed of my Father, inherit the kingdom prepared for you from the foundation of the world; for I was hungry and you gave me food, I was thirsty and you gave me drink, I was a stranger and you welcomed me…” (Mt 25:34-35). At the same time, he threatens with eternal punishment those who never do them: “Depart from me, you cursed, into the eternal fire prepared for the devil and his angels; for I was hungry and you gave me no food, I was thirsty and you gave me no drink…” (Mt 25:41-42). It should be understood that it is only those who fail to help someone they had an obligation to help in a serious matter and are unrepentant that will be punished forever. Commenting on this passage St Augustine explains that when we give to others we are only giving from what God has already given to us: “Give from your riches. From whose riches do you give except from his? If you gave from your own riches it would be bounty, but if you give from his, it is only a repayment. For what have you that you did not receive?” (On Psalm 95, 14, 15). Our Lord himself promises to show mercy to those who are merciful to others: “Blessed are the merciful, for they shall obtain mercy” (Mt 5:7). St Caesarius of Arles comments: “Sweet is the name of mercy, dearest brethren; and if the name is sweet, how much sweeter is the quality itself? Yet though all men would wish to receive it, alas their own conduct is not such as to deserve it. All wish to receive mercy; few are ready to show mercy to others. What effrontery to want to receive what you neglect to give! You must show mercy in this life if you hope to receive it in the next” (Sermon 25, 1). In what way does God show mercy in the next life to those who show it to others in this one? St Caesarius continues: “There are two kinds of mercy then: mercy on earth and mercy in heaven, human mercy and divine mercy. What is human mercy like? It makes you concerned for the hardship of the poor. What is divine mercy like? It forgives sinners. Whatever generosity human mercy shows during our life on earth divine mercy repays when we reach our fatherland. In this world God is cold and hungry in all the poor, as he himself said: ‘As you did it to one of the least of these my brethren, you did it to me.’ God then is pleased to give from heaven, but he desires to receive on earth. What sort of people are we – when God gives, we want to receive, when he asks, we refuse to give? 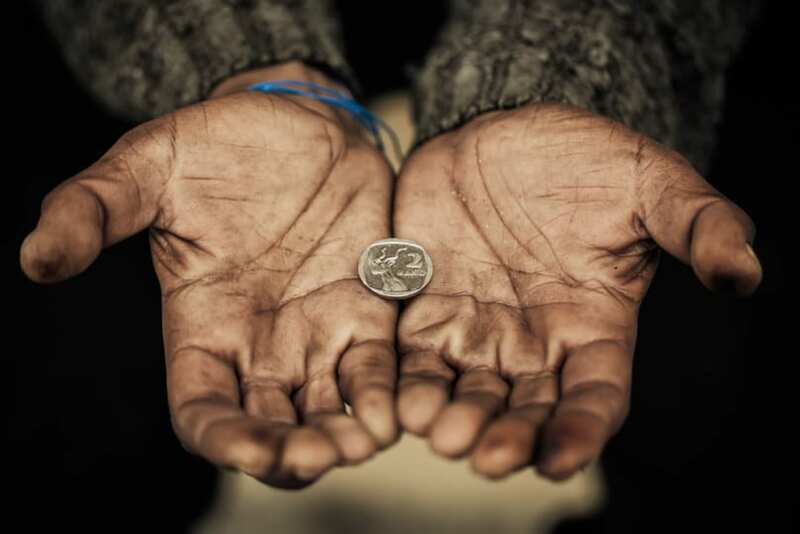 When a poor man is hungry, Christ is in need, as he said himself: ‘I was hungry and you gave me no food.’ Take care not to despise the hardship of the poor, if you would hope, without fear, to have your sins forgiven” (Ibid). In summary, while it is not always a sin to fail to help someone in need, it is good to be generous here on earth as much as possible so that God will repay us with eternal life in heaven. Previous articleCan a sporting ground be a spiritual home?